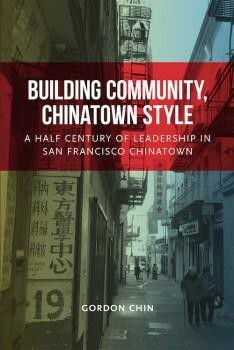 As the fight over the right to stay in the Bay Area rages around us, join urbanIDEA for a special event in our 2015 Forum Series featuring Gordon Chin’s new book, Building Community, Chinatown Style. Activists and thinkers NTanya Lee and Oscar Grande will discuss the ways that Chinatown’s history, as told by Gordon, can help us understand the contemporary urban housing dilemma locally and across the region. Join us as we explore how lessons and organizing strategies from past housing crises and fights for neighborhoods connect to today’s community struggles and the question of Who Can Afford to Live in San Francisco. Copies of the book will be available for purchase. Sales will benefit urbanIDEA and the Chinatown Community Development Center, which published the book.